Almanya: Welcome to Germany (German: Almanya – Willkommen in Deutschland) (Almanya is Turkish for Germany) is a 2011 German comedy film directed by Yasemin Şamdereli. 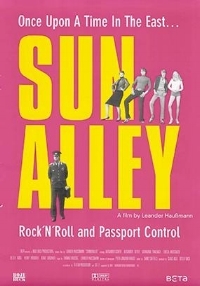 The film premiered at the 61st Berlin International Film Festival in the section competition and won the Deutscher Filmpreis 2011 in the categories Best Script and Best Film. The tragic comedy dramatizes the question of identity and belonging for former Turkish guest workers in Germany and their descendants. Two gifted but lonely boys form a live changing friendship that gets challenged when one of them gets kidnapped. German soldier Jesper signs up for a mission in Afghanistan, despite having lost his brother during an operation in the war-torn country. Jesper and his squad are assigned to protect a village outpost from increasing Taliban influence. With the help of young and inexperienced interpreter Tarik, Jesper seeks the trust of the local community and the allied Afghani militia. More than ever, he discovers the immense differences between the two worlds. When Tarik's life is threatened by the Taliban, conflicted Jesper is torn between his military obligations and his conscience. Benjamin (Tom Schilling) is a nobody, an outsider. This changes when he meets the charismatic Max (Elyas M'Barek). The two of them couldn't be more different, but they share one mutual interest: hacking. Together with Max's friends, impulsive Stephan (Wotan Wilke Möhring) and paranoid Paul (Antoine Monot) they form the subversive hacker group CLAY (Clowns Laughing @ You) . CLAY provokes with hilarious hacks and has the finger on the pulse of a whole generation. For the first time in his life Benjamin feels like he belongs and even attractive Marie (Hannah Herzsprung) starts to notice him. What started out as fun soon turns deadly serious, when Benjamin and CLAY are suddenly investigated by German Secret Service and Europol. 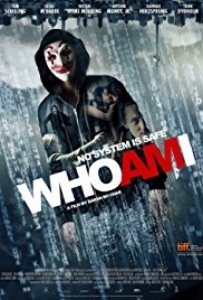 With Hanne Lindberg (Trine Dyrholm), the leading Europol cybercrime investigator, at their heels, Benjamin starts to realize that he is no longer a nobody, but one of the most wanted hackers of the world. East Germany. Summer, late 70’s. Three years after her boyfriend Wassilij’s apparent death, Nelly Senff decides to escape from behind the Berlin wall with her son Alexej, leaving her traumatic memories and past behind. Pretending to marry a West German, she crosses the border to start a new life in the West. But soon her past starts to haunt her as the Allied Secret Service begin to question Wassilij’s mysterious disappearance. Is he still alive? Was he a spy? Plagued by her past and fraught with paranoia, Nelly is forced to choose between discovering the truth about her former lover and her hopes for a better tomorrow. 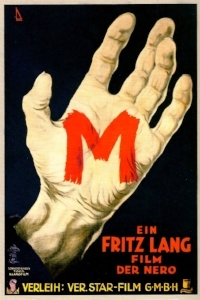 Classic Thriller directed by Franz Lang (German, 1931, 107 mins). A child murderer is on the loose in Berlin. When the organised crime groups are getting increasingly disturbed by the police's manhunt they initiate their own search for the killer.